The Health Benefits of Vitamin E – The Capital Athletic Club | The Capital Athletic Club is Downtown Sacramento, California's Premier Full-Service Athletic Club that provides a variety of amenities including cardio and weight equipment, fitness classes, training, swimming pools, basketball courts, and services to help you be fit, healthy, and happy. The health benefits of vitamin E are well documented. Much has been written about the potential link between vitamin E and heart health. Similarly, an anecdotal association between libido and this vitamin has often been claimed. Scientists have confirmed vitamin E to be an effective fat soluble vitamin with antioxidant attributes. It is also to be found as a topical skin cream ingredient given credit for rejuvenative abilities. Usually, when vitamin E is referred to in dietary context alpha-tocopherol is the exact nutrient name although there are three other forms. It is found naturally in many foods including almonds, canola oil, peanuts, sunflower seeds, walnuts and wheat germ. Although it is readily available in a healthy diet it is still often supplemented. Large doses over 1000 international units (IU) per day may cause some adverse effects and it could reduce the efficacy of vitamin A.
Conversely, at proper levels vitamin E facilitates the body’s use and storage of vitamin A.The American Heart Association has recently noted that prolonged vitamin E supplementation in excess of 400 IU per day may in fact be harmful. Normal diets only supply about 10 IU per day or less of this valuable nutrient. The daily value (DV) assigned to this nutrient by the Food and Drug Administration (FDA) for adolescents and adults is 22 IU per day. In all things moderation is advised and supplementation with vitamin E is no exception to this rule of thumb. Incidence of vitamin E deficiency is rare in the United States but generally speaking, the average American consumes on the low side from diet alone. Studies have shown an increase in vitamin E consumption may be associated with a decreased incidence of heart disease and heart attack but only in those without a previous history of heart disease. All antioxidants play a role in the prevention of cancer. By stabilizing free radicals, vitamin E contributes to this prevention. Research continues into various aspects of vitamin E and its uses by the human body. One area of exploration deals with cellular absorption and metabolism of at least two of the four forms of this nutrient. There is particular interest in the affect that gamma-tocopherol has on alpha-tocopherol. It has been widely assumed in the past that only alpha-tocopherol was used to any great degree but there now are studies which suggest a correlation may exist between the two types. 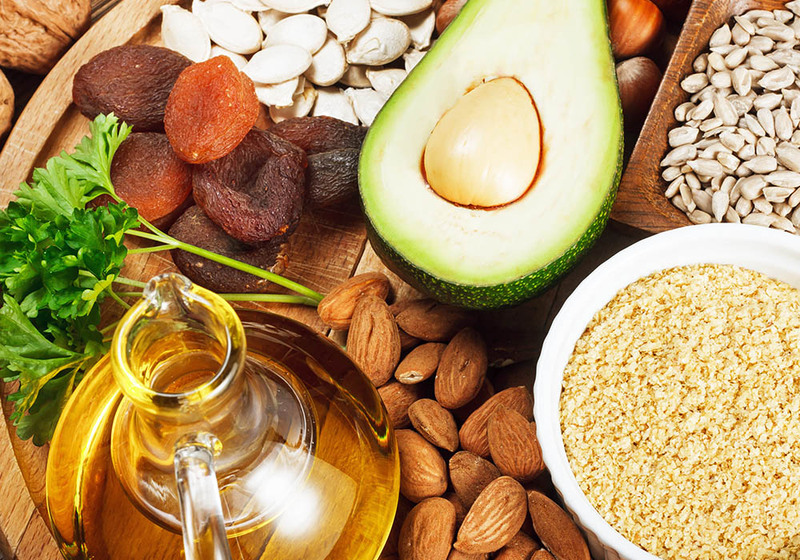 The continuing effort to find the potential benefits of vitamin E and how those benefits could be boosted is of particular importance when viewed in light of the alarming statistics concerning heart and vascular health. Heart disease is now the number one killer of Americans. On any given day about 2,600 will succumb to the disease in the United States. That makes it more fatal than all of the next five killers on the list combined. The American Heart Association recommends beginning the process of assessing and reducing heart disease risk factors by the age of 20.